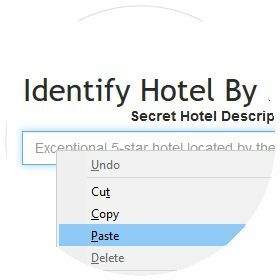 Reveal the LastMinute.com Hotel Name Before Booking Uncover the true identity of your Last Minute Top Secret Hotels and find out everything there is to know before you book. With savings of up to 35%, we are a secret worth knowing. Whether it's a sightseeing weekend in London or a romantic trip to Paris, your holiday just isn't complete without the right hotel. 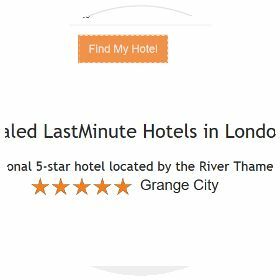 Generally, LastMinute.com's Top Secret Hotels provide vague descriptions of the hotel's location, amenities and standards. We aim to reveal all of these details so you know exactly what you're checking into. Our unique prediction algorithms enable us to unveil a secret hotel's true identity faster than any alternative website or service. Whether you're looking for a chic hotel near New York's Central Park or a room with a view of the Eiffel Tower, you can count on us to draw back the curtain; allowing you to make much more informed decisions before making your booking. The best part? It's 100% free! Never book a Secret Hotel blindly again. You can find your hotel in three easy steps. 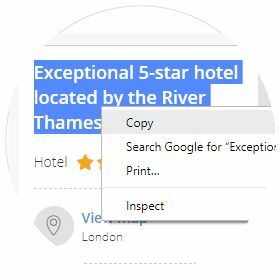 Simply paste your copied description into the box below and click "Find My Hotel"
© 2018 WhatTheHotel.co.uk. All Rights Reserved. Keep me updated with unmissable offers. Your details are never shared. Spam free. By clicking 'Find My Hotel' I agree to the terms of service.